Now that has taken a while! But more about me: I have quit my job at Keio University earlier this year and, since the Summer, I’m working for Opera Software in Tokyo (and quite a bit in Oslo, too)—my meishi reads “QA engineer”. If that comes as a surprise, note that I’ve been writing about and working with web standards for quite a while, and that I’m a big believer in the “one web” philosophy Opera adheres to. 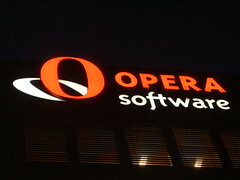 […] Opera is an example of how to do commercial software correctly. Fanatical adherence to open standards, no lock-in, and impressive cross-platform support. And for those of you who get confused about which opinions on this blog are mine and which are Opera’s: they’re all mine (cfr. the FYI section in the sidebar).